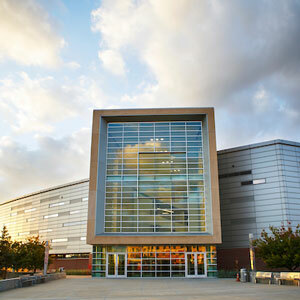 FUSE is a UNO-wide competitive grant program. Receiving a FUSE grant sets you apart from your peers. Grants of up to $4,500 per student are available to UNO undergraduates. FUSE provides you with a unique experience. Research is an unpredictable enterprise. You will be involved in a research project from its conception to completion. Along the way, you might encounter unforeseen situations or problems. You will learn to rise above these challenges with your faculty mentor’s guidance. FUSE exposes you to the process of making decisions based on scientific evidence and involves independent research work over-and-beyond what you need to get your degree. When you complete a FUSE research project, this is a signal to potential employers that you possess skills and capabilities beyond those possessed by a typical business graduate. 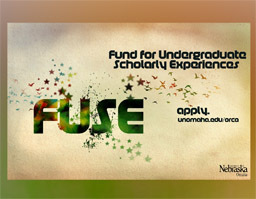 For details, visit FUSE: Fund for Undergraduate Scholarly Experiences. For a list of potential CBA FUSE mentors, visit CBA FUSE Mentors. If you have any questions, email Dr. Catherine Y. Co, CBA representative, FUSE Advisory Committee.